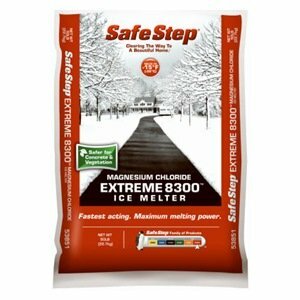 Safe Step 53851 Extreme 8300 Magnesium Chloride Ice Melter effectively melts snow and ice down to-15 degrees Fahrenheit. Less harmful to vegetation. 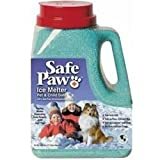 Ice melter is safe to handle and won't burn or irritate skin when used as directed. 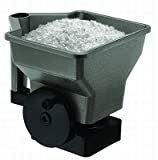 Safe to use on concrete. Will not leave an oily residue or cause tracking problems.